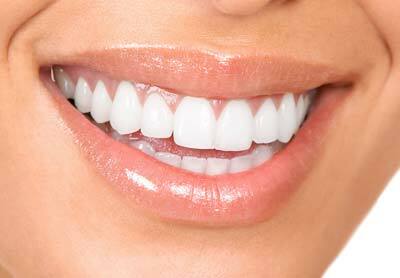 It is our commitment to bring to our patients the latest and most effective treatments in today’s dental care. Thus, we are proud to introduce the Lares Powerlase AT hard and soft tissue laser into our dental practice. For many years our patients have benefited from the comfort and ease of Laser dental care. Many patients have experienced the comfort of scalpel, suture and blood free implant placement, conservative shot free laser fillings, laser tooth desensitization, and Aesthetic laser gum recontouring. The Powerlase AT raises this to an entirely new level. Many fillings that could not be treated with a dental laser are now efficiently taken care of with the Powerlase AT, many times without the need for anesthesia. Even more exciting is the effects this will have on gum care and the treatment of periodontal disease. The Powerlase Nd:YAG wavelength has been FDA Approved for “Cementum Mediated Reattachment”. In traditional treatment of gum disease the gum tissue is cut away and “Repositioned”, curing the infection but often leaving long exposed roots, challenging area’s to clean , and potential sensitivity. When performing the Powerlase Lasersoft Gum treatment our doctors use the laser to sterilize the infected gum pocket, painlessly remove diseased gum tissue, and stabilize the area to allow for “Gum Reattachment” to the tooth. Effectively, we are allowing the body to naturally heal to reduce the gum pocket rather than cutting and repositioning the gum tissue. This allows for a much kinder healing period that does not complicate the patient’s life. The biggest frustration we have had over the years is patients avoiding treatment for their gums because they were fearful of traditional periodontal surgery. The Powerlase now offers and alternative for those patients who did not want traditional periodontal surgery.